Storyline: Ginger is an accomplished pianist and teacher, with a great love for clothes. Her fashion style is very sophisticated and she often says “you are what you wear”. 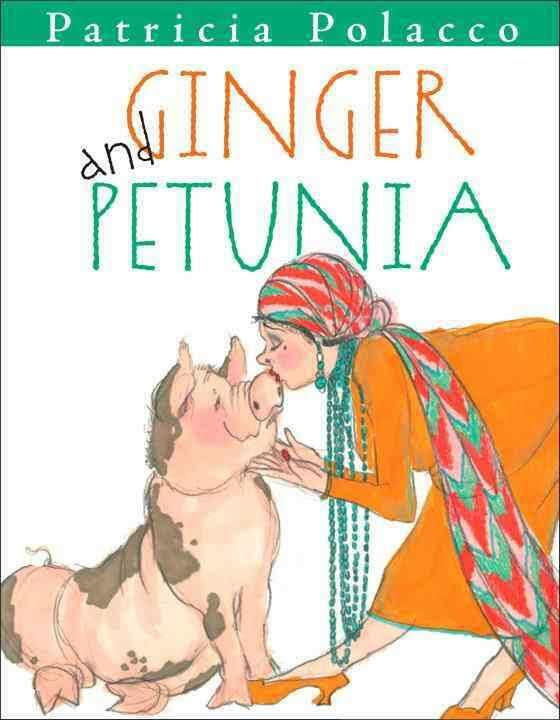 She also has a pig pet, called Petunia, to whom she dedicates all her love and attention. One day, Ginger has to attend an out of town musical event, on a short notice. It is the first time that she must leave Petunia alone. She calls a home sitter company to take care of her pet and other obligation while she’s gone. But the company cancels after Ginger has already left. Now Petunia is alone, with nobody to make food for her and no one to listen opera with at night. What would she do? There’s almost a week till Ginger would return home. After much thinking, Petunia decides to fill Ginger’s shoes. At first, she puts on Ginger’s apron and makes dinner for herself, washing and chopping the vegetable just as she had seen Ginger doing it many nights. Then, the next day, she puts on one of Ginger’s dresses, make-up and jewelry, lets in Ginger’s students coming for piano lessons, and even goes grocery shopping on her master’s sports car. The next day, the same. Another day she attends a social event that Ginger had confirmed and so on, every single time dressed in her master’s clothes. The weird thing is that nobody noticed she is not Ginger. By the end of the week, she gets to be a local hero by accidentally exposing a fake statue at the museum. But these social life is too hard for Petunia. She still has to clean the house, make dinner and wash the dishes. And she hadn’t had a mud bath in a week. But when Petunia gets home that night, all the house choruses have been taken care of. Most amazed, she sees her master, Ginger, and hug each other tight, Ginger being very happy that Petunia had taken care of her business in her absence. Later, Petunia takes a mud bath while Ginger plays her favorite opera. Illustration: Patricia Polacco is also the illustrator of this book. Remarkable is the artist’s ability to concentrate on a single character, creating a unique personality with features that are so visible that no words are need it to describe them. The colors are vivid and the combination of them is sometimes striking. Over all a great artist. Please vote for this book bellow. Thank you.